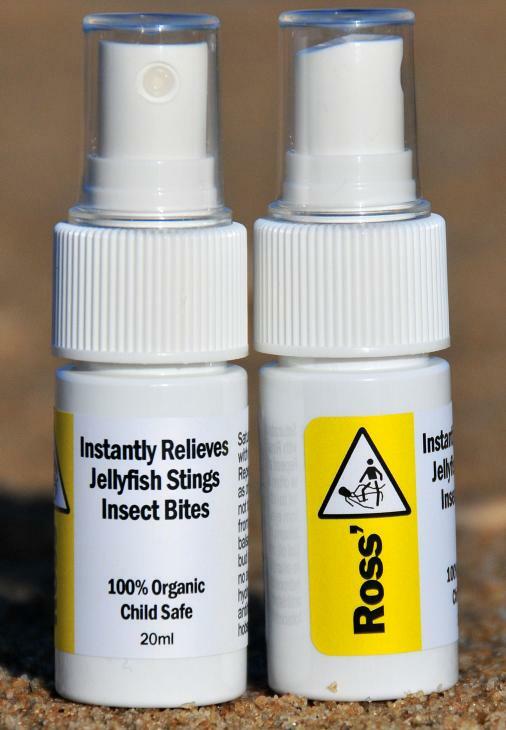 An all natural product to help relieve pain from jellyfish stings ! 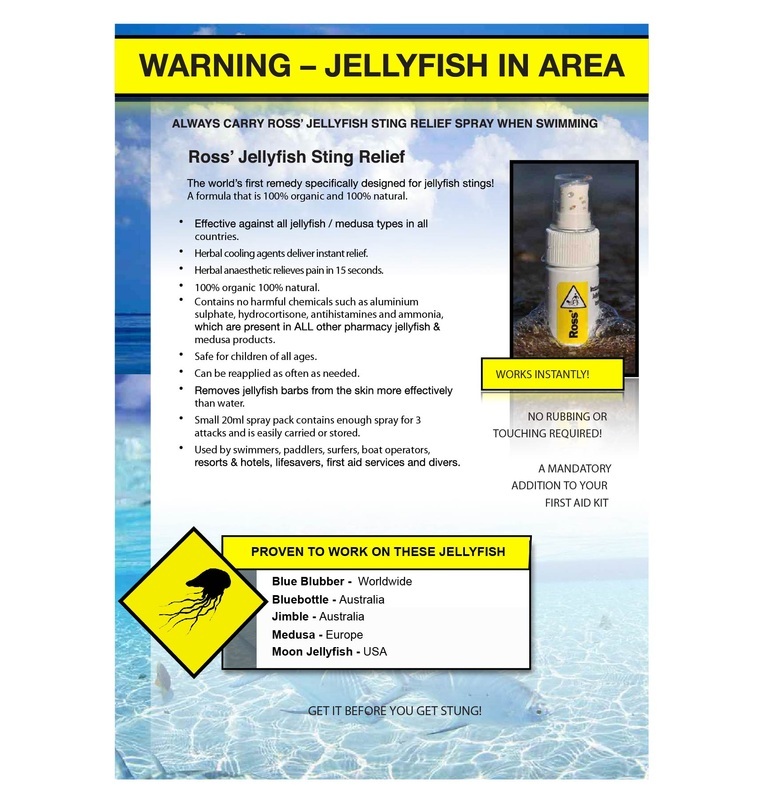 Ross Jellyfish Sting Relief was selected as the jellyfish pain relief spray administered during June 2012 FINA World Masters Championships in Italy. A week later it was used in the Italian National Titles.